When applying labels automatically, the winding specification and correct manufacture of the label can become more critical. 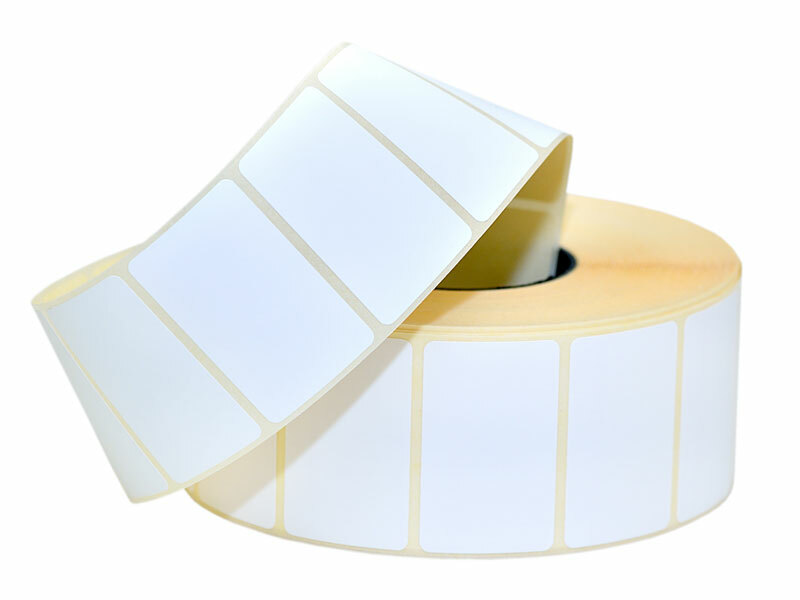 We can supply a huge range of blank or pre-printed self adhesive labels, on direct thermal or thermal transfer label stocks, suitable for use across a wide range of sectors and applications, manufactured to your exact specification. Matt, semi-gloss, or high gloss white material, printed 4 colour process and up to eight colours. Made to order from any material for product coding, stocktaking, overprinting, also white and coloured for thermal transfer and direct thermal printers. Printed or plain, for use with software driven programs and specialist 'in house' printers & applicators. Matt or high gloss, white, clear, or coloured material printed in up to eight colours. Matt or high gloss laminations of any base material to produce a high quality label for outside use and specialist applications. Polyester, polythene, acetates, foils, Tyvek, Metlon, and many others for technical applications i.e. critical temperature ranges, etc.